When I was young, before I went to college, I lived on the East Coast, and grew up listening to my Italian grandfather playing opera all the time. He never learned to speak English, and spent the last ten, fifteen years of his life practically living in operas – he'd grown up in Naples, where all these operas debuted, so I'm sure it was him going back to these elements of his childhood. And even though I didn't learn Italian until much later, it became my childhood too. He loved composers like Donizetti, who used high coloratura voices in his compositions – that very ornamented style of singing, very high, very acrobatic, almost. 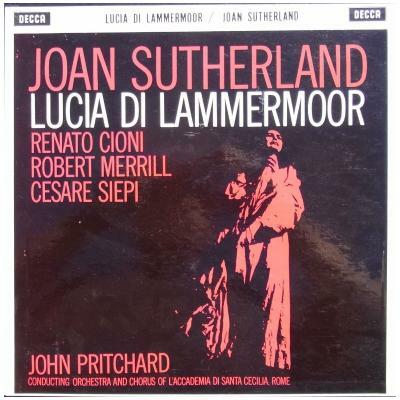 Joan Sutherland's voice always got to me in this recording. She had a huge jaw, and it's almost like it was a chamber for the resonance her voice had. I can still hear her voice soaring around my grandfather's – it was if he was getting this store of information from the records, and wanting to communicate that world to us.